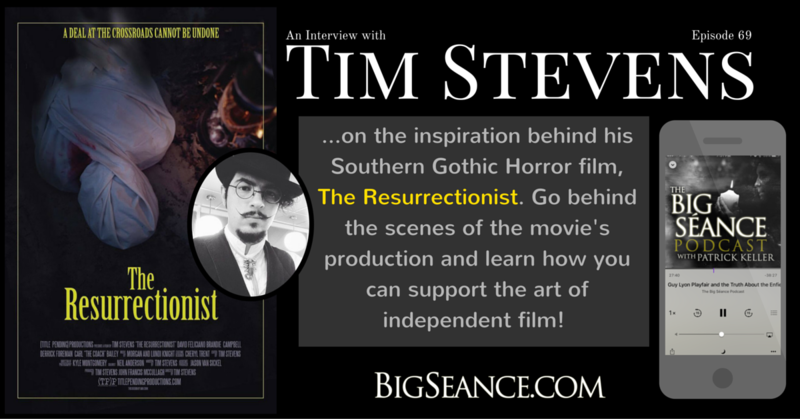 Tim Stevens fills us in on the inspiration behind his Southern Gothic Horror film, The Resurrectionist. Go behind the scenes of the movie's production and learn how you can support the art of independent film! Visit BigSeance.com for show notes. Jason Kupzyk, co-host of The Ectoplasm Show and founder of both the Mid-Continent Paranormal Research Society (MCPRS) and Kansas City Paracon, shares details about the topics, speakers, and what to expect at this year's conference! Visit BigSeance.com for more information. Coverage of the gathering of America's original paranormal community: Troy Taylor's Haunted America Conference 2016 in Alton, Illinois. Hear from Sherri Brake, Greg Newkirk, Barb Huyser, Kari Bergen, Steve Litteral, Keith Age, and History Goes Bump! Visit BigSeance.com for more information.